This is a perennial creeping herabceous plant covered with woolly white hairs. The flower-heads are grouped in umbels and surrounded by woolly bracts. Male and female flowers are produced on separate plants. 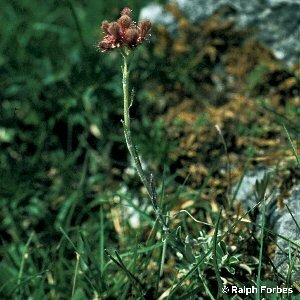 The species is rather uncommon and found on old dunes, heathland and rock outcrops, avoiding very acidic habitats. Related to the cudweeds and the continental edelweiss. 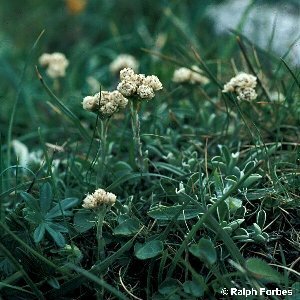 All names: Antennaria dioica (L.) Gaertner; Antennaria hyperborea D.Don; Antennaria hibernica Braun-Blanq.